Tinder has terminated Rosette Pambakian, the company’s vice president of marketing and communications, including a “number” of other employees who took part in a $2 billion lawsuit against the owners of the dating app, the Match Group, according to a report by The Verge. After her termination, Pambakian sent an email to Match Group CEO Mandy Ginsberg and Tinder CEO Elie Seidman, disclosing that she experienced “ongoing intimidation and retaliation” that was ultimately planned to pressuring her into resigning from her position. Pambakian, along with the Tinder employees who were involved in the lawsuit were placed on leave back in August. As reported by multiple sources, a PR representative from the Match Group confirmed that they terminated a number of employees who were unable to perform their job responsibilities. If you are experiencing retaliation in the workplace, please contact the attorneys at the California Employment Law Group today for a free consultation with an experienced employment lawyer who will clearly explain your rights and options under the law. Pregnancy discrimination remains a widespread occurrence in the American workplace today. It is so common that even institutions that champion themselves as advocates of women are struggling with this problem. 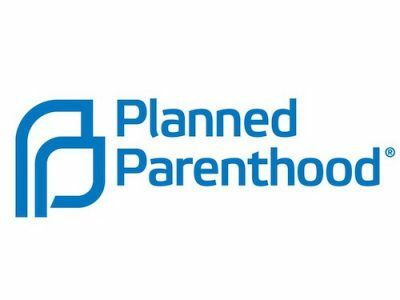 Planned Parenthood, the leading provider of reproductive services in the US, has detailed accusations of discrimination by managers in some locations declining to hire pregnant job candidates, refusing break requests by expecting mothers and in some cases wrongfully terminating them after they gave birth. Ta’Lisa Hairston, a medical assistant at Planned Parenthood, whose job is to instruct pregnant women proper care instructions while at work was unable to follow her own advice when she got pregnant. Last winter, she advised human resources that her high blood pressure was threatening her pregnancy. Multiple notes were sent from her nurse’s recommendation that she take frequent breaks. These notes went unnoticed as they were often ignored by management. As a result of further instances where she felt discriminated against, she resigned in last June. As detailed by a former hiring manager from a California location, when internal promotions were available, supervisors often debated whether candidates were likely to get pregnant in the near future and placed preference to those who were not. In one instance, they declined the promotion of one pregnant woman to promote a new mother, the employee said. According to the federal Pregnancy Discrimination Act, it is deemed illegal to consider whether a candidate is or will become pregnant. An employee at the Federal Housing Finance Agency secretly recorded conversations with regulator of mortgage giants Fannie Mae and Freddie Mac, Melvin Watt. The employee has accused Watt of sexual harassment, retaliation and pay discrimination, claiming he leveraged his ability to advance her career as he discussed his attraction to her, reports The Hill. “I’m guilty of having an attraction to you, that is true, so it makes me more conscious not to leave some impression,” Watt said on the recording obtained by NPR. Simone Grimes began recording her conversations with Watt in 2016. And in November 2016, he insisted she meet him at his house where she secretly record him saying he could help her advance her career. “I have continued to endure this position and try to see it through to the end and be clear with the agency that they are not knocking the wind out of me, I am not losing my stride,” Grimes stated. 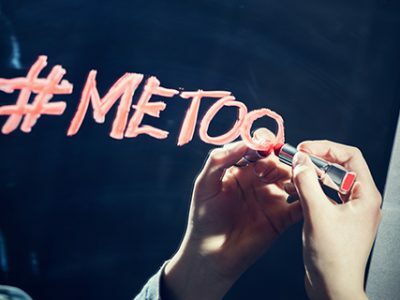 If you have been sexually harassed, discriminated or retaliated in the workplace, please contact the attorneys at the California Employment Law Group today for a free consultation with an experienced employment lawyer who will clearly explain your rights and options under the law. Four women who worked in the corporate headquarters at Nike filed a class-action lawsuit at a federal court in Oregon last week, alleging the company discriminated against them in pay and career advancement. As mentioned in the Wall Street Journal, the women report that Nike paid them less than male counterparts at the company. The lawsuit also contained other allegations of inappropriate workplace behavior, some of them from unnamed plaintiffs. According to the lawsuit, Nike “has intentionally and willfully discriminated” against women “with respect to pay, promotions, and conditions of employment.” It seeks that the plaintiffs “are made whole” from lost compensation and benefits, among other damages. Eleven executives have left the company amid complaints about inappropriate workplace behavior. Nike’s top human-resources executive said the company has failed to promote enough women and minorities. Last month, Nike announced it would give raises to some 7,000 staffers after an internal review of its compensation practices, reports the Wall Street Journal. If you think your rights have been violated, please contact the attorneys at the California Employment Law Group today for a consultation with an experienced employment lawyer who will clearly explain your rights and options under the law. The personnel chief of the Federal Emergency Management Agency (FEMA) is under investigation after being accused of “creating an atmosphere of widespread sexual harassment over years in which women were hired as possible sexual partners for male employees”, the agency’s leader reported. As mentioned in the Washington Post, the alleged harassment and other misconduct, revealed through a preliminary seven-month internal investigation, was a “systemic problem going on for years,” said FEMA Administrator William “Brock” Long. Starting in 2015, investigators said, Coleman hired unqualified men who were friends and college fraternity brothers and women he met at bars and on online dating sites. Then transferred some of the women in and out of departments, some to regional offices, so his friends could try to have sexual relationships with them, according to employees, reports the Washington Post. Long also mentioned he received a direct complaint last year from an employee who said Coleman sexually harassed her. Coleman resigned from his position a few weeks ago. The chairman and C.E.O. of CBS Corporation Leslie Moonves has been one of the most powerful men in Hollywood. As mentioned in The New Yorker, Moonves has become a prominent voice in Hollywood’s #MeToo movement. However, The New Yorker interviewed six women who had professional dealings with him and stated that he sexually harassed them. Four described “forcible touching or kissing during business meetings”, in what they said appeared to be a practiced routine. Two told Ronan Farrow from The New Yorker that Moonves “physically intimidated them or threatened to derail their careers”, and they all said that he became cold or hostile after they rejected his advances, and that they believed their careers suffered as a result. “What happened to me was a sexual assault, and then I was fired for not participating,” the actress and writer Illeana Douglas told Farrow. All the women said they still feared that speaking out would lead to retaliation from Moonves, who is known in the industry for his ability to make or break careers. In addition, nineteen current and former employees stated that Jeff Fager, the former chairman of CBS News and the current executive producer of “60 Minutes,” allowed harassment in the division. “It’s top down, this culture of older men who have all this power and you are nothing,” one veteran producer told Farrow. In-N-Out Burger violated federal labor law when it told employees in Austin, Texas they were forbidden to wear “Fight for $15″ buttons on their uniforms. As mentioned in Bloomberg Law, the fast-food chain didn’t show the “special circumstances” necessary to allow it to avoid federal labor law’s general requirement that employees must be permitted to wear union insignia at work, a federal appeals court said. In-N-Out insisted its “no pins or stickers” rule was in place to protect the “public image” it sought to create by consistently presenting its workers in clean white uniforms “unadorned” by any personal additions. However, the evidence supported the National Labor Relations Board’s finding that the company’s longtime adherence to that rule alone didn’t establish special circumstances excusing it from the board’s general prohibition against blanket rules banning union insignia, the U.S. Court of Appeals for the Fifth Circuit said. 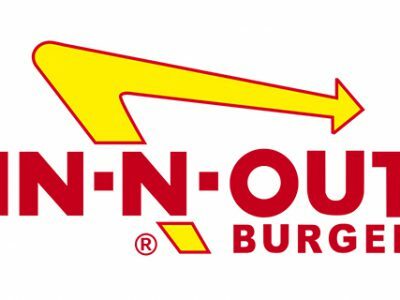 In addition, In-N-Out’s practice of requiring servers to wear company-supplied buttons on their uniforms during the Christmas season and during April to support the chain’s nonprofit foundation for the prevention of child abuse further undercut its argument”, Judge James E. Graves Jr. stated. “Those buttons are roughly three times the size of the pro-$15-minimum-wage buttons workers in Austin were told they couldn’t wear”, Graves added. Scotland Yard is investigating three new sexual assault allegations against Oscar-winning actor Kevin Spacey. According to The Guardian, Scotland Yard now has six open investigations into claims that the actor attacked men in the UK. The latest allegations are said to have taken place in Westminster in 1996, Lambeth in 2008 and in Gloucester in 2013. And three other complaints of sexual assault in London had already been made to officers, as well as a claim of sexual assault in Los Angeles. Spacey’s downfall started when actor Anthony Rapp alleged he was 14 when Spacey, then 26, made a sexual advance to him in 1986. Spacey said he did not remember the encounter but apologized for any “inappropriate drunken behavior”. 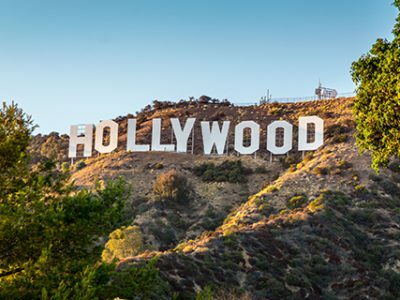 The #MeTo and #TimesUp movements began in October 2017 in response to the shocking allegations of sexual harassment and assault against Hollywood film producer, Harvey Weinstein. As the #MeToo movement continues, more companies are reviewing their sexual harassment policies and taking action to prevent it. 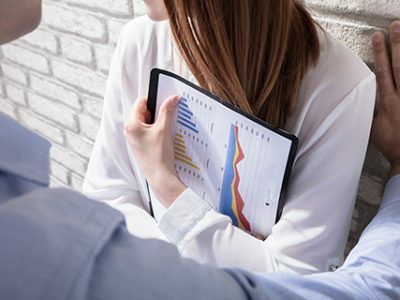 According to a survey conducted by Challenger, Gray & Christmas, Inc, a career consulting company, more than half of companies (52%) have reviewed their sexual harassment policies, up from 34% in January.